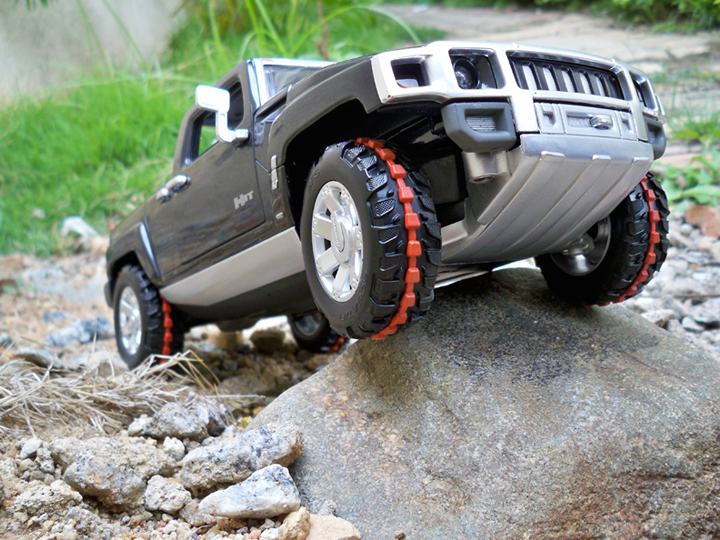 Hummers are known for their large footprints and exceptional offroading capabilities. 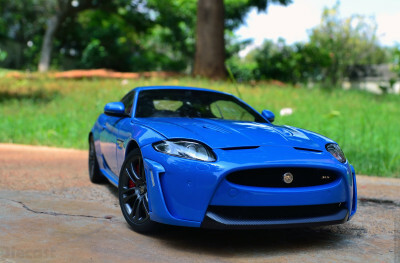 Hot Wheels have translated every single aspect of the real concept car into this carefully crafted model. 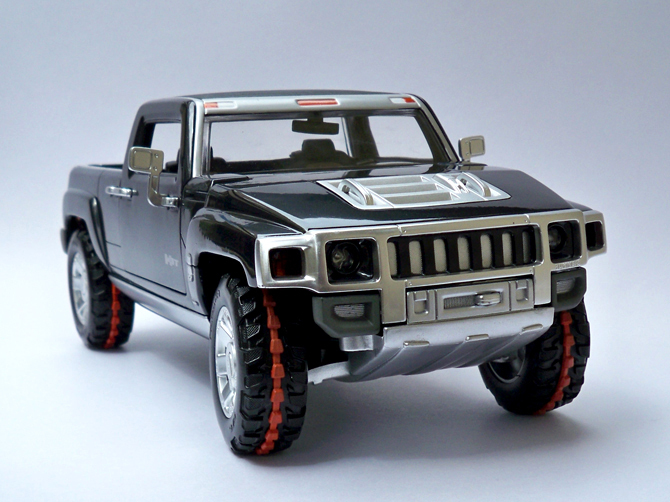 This looks kind of huge(real 1:18 scale) and macho when compared with other hummer models from Maisto. 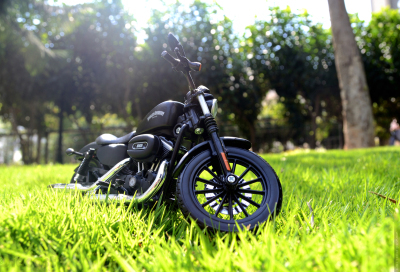 The exterior details and paint finish are above par for a model from Hot Wheels easily comparable with other premium models. This being a budget model (non elite or super elite) has two of its rear door and the trunk doors sealed which I would a complete missout, apart from that it has two opening doors, hood and functional streeing but the streeing rake is very limited maybe a 20 degrees at the max. 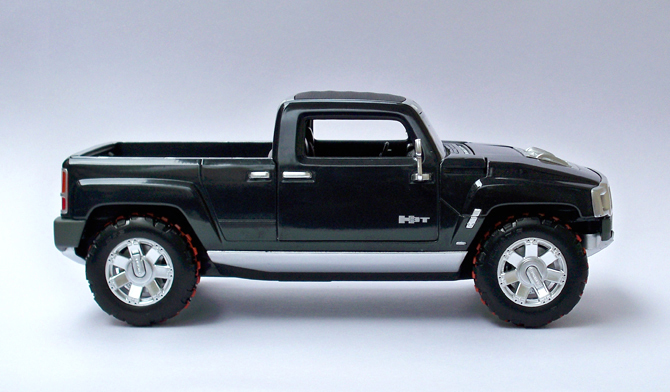 Last but by no means the least the tires are wonderfully done with even the embedded red strip in the center and a marked as BFG, alloys are also detailed with hummer logo in the center. 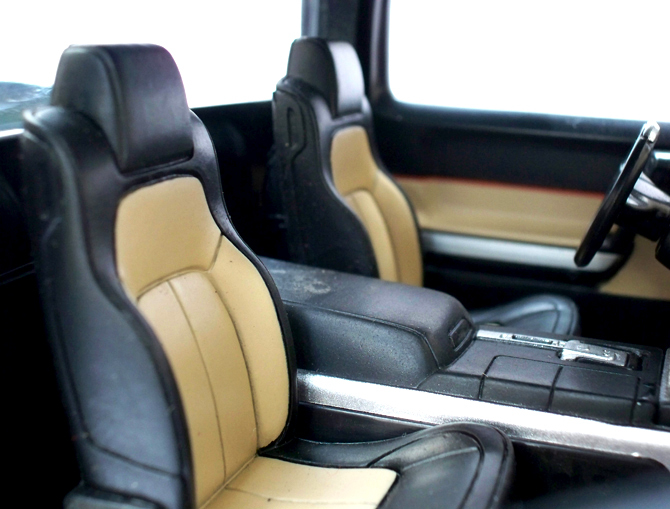 The top cover of the cab is made of some camper kind of material which gives some detailing to the exterior. 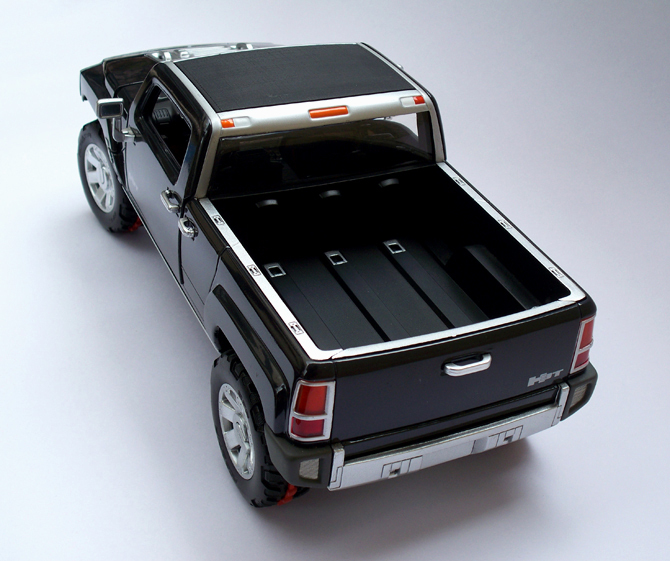 The pickup bay is very nicely done. 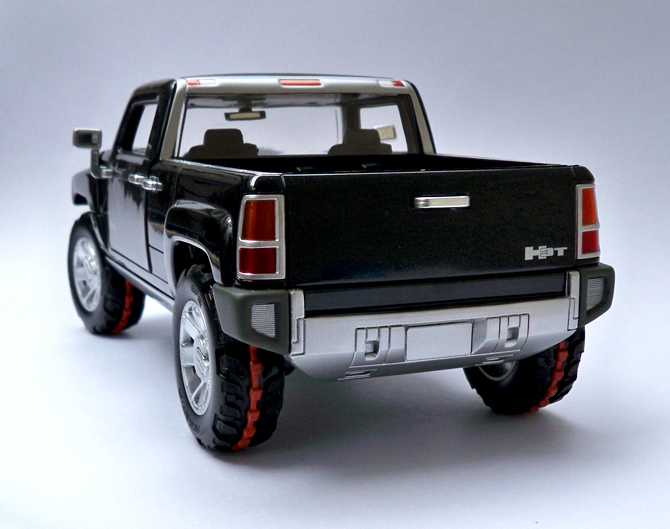 Apart from the missing (opening) tailgate the rear end is complete with a decent electrical fitments. 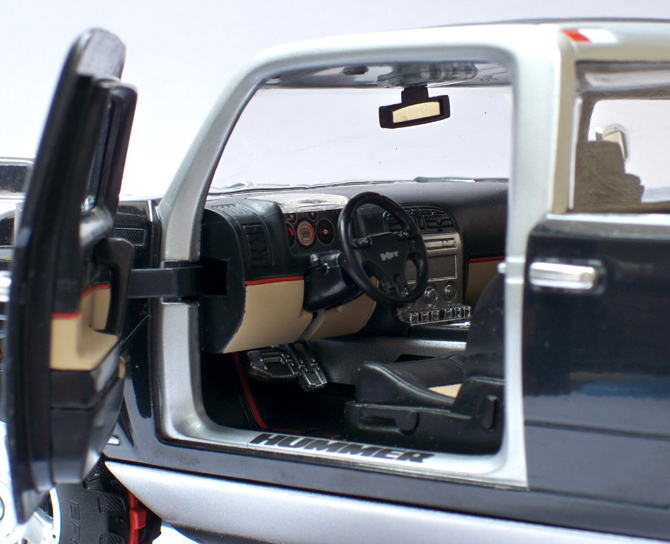 The dual tone interiors of this model is executed well and detailing is appreciated but no seat belts. The doors are also dual tone and swivels on a regular hinge mechanism. 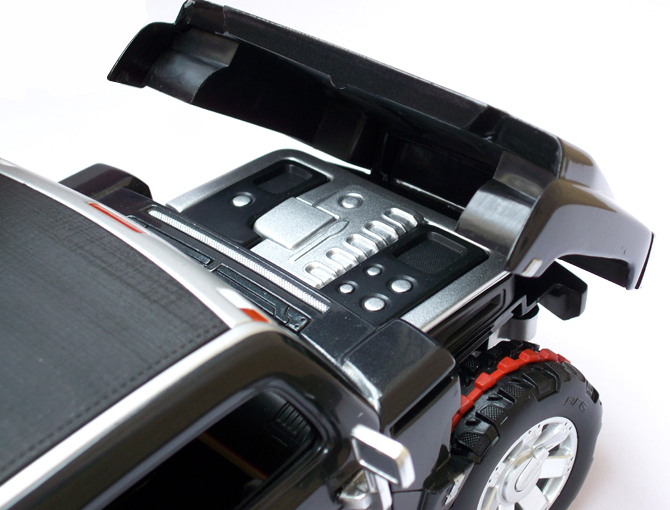 The hummer embeds in the foot board is and other detail to talk about. Being a concept model’s engine bay has almost no details to talk about as the real concept itself. 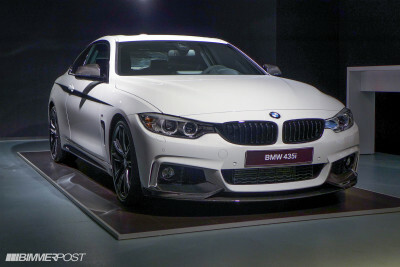 But the engine cover is distinctly finished in gray and aluminum. At around Rs.2988/-($39.99+$21 shipping) is one of the expensive budget model in my collection, but its worth every penny.